CHICAGO – U.S. Soccer has determined the pairings for the first qualifying round and four of the match-ups for the second qualifying round of the 2019 Lamar Hunt U.S. Open Cup, it was announced Wednesday. The annual tournament, entering its 106th year, is the only high-profile event in American team sports where amateur sides have the opportunity, should they advance far enough, to face professionals in meaningful competition. Seventy-six of 94 local sides will see action in the first qualifying round, scheduled for Sept. 22-23. The remaining 18 teams have been issued byes, either due to geographical considerations (13 clubs) or the result of being randomly selected (five teams), into the second qualifying round, set for Oct. 20-21. Eight of the teams receiving byes have been paired to play each other and have had their game details finalized along with all the first qualifying round match-ups via a draw that took place earlier in the day at Soccer House, U.S. Soccer’s headquarters. The remaining pairings for the second qualifying round and the match-ups for each ensuing round will be determined and announced after each preceding round of games has taken place. For the 94 teams participating in Open Division local qualifying, the ultimate number of slots up for grabs into the first round of the 2019 Open Cup will be determined by the Open Cup committee at a later date. 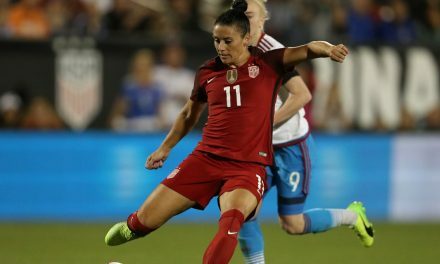 For now, U.S. Soccer projects at least three, and perhaps four, local qualifying rounds will take place before the competition’s first round next May. The local qualifying survivors will be joined by Bavarian SC (Glendale, Wis.), the 2018 U.S. Adult Soccer Associatio’s National Amateur Cup champion. The provision to automatically advance the Amateur Cup winner to the Open Cup proper is new for 2019. 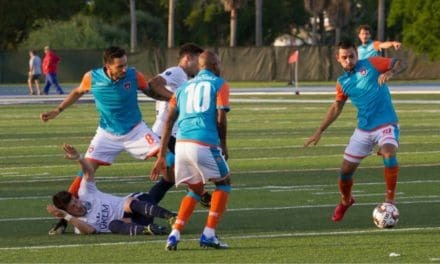 The number of teams competing through local qualifying will be one less than announced Aug. 22 as Florida-based Naples United FC 2 (Sun Cup) was found not to be affiliated with a U.S. Soccer organization member, namely the U.S. Specialty Sports Association, by the deadline for local amateur sides to participate in sanctioned league competition. The championship match of the 2018 competition will be played Wednesday, Sept. 26 following the 2019 first qualifying round. The 2018 final pits the Houston Dynamo against two-time finalist Philadelphia Union (8 p.m. 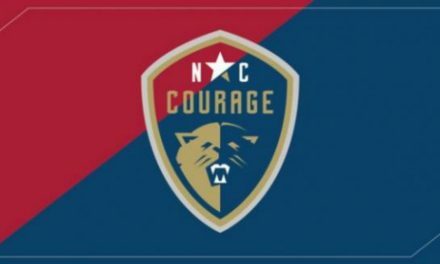 ET; ESPN2, UDN) as both clubs seek to win their first-ever Open Cup championship. Sept. 22 Southie FC (Mass.) vs. GPS Omens (Mass.) 12 p.m. ET Madison Park High School – Upper Field; Roxbury, Mass. Sept. 22 Kendall Wanderers (Mass.) vs. Boston Siege FC (Mass.) 2 p.m. ET Danehy Park – Field 3; Cambridge, Mass. Sept. 22 Safira FC (Mass.) vs. Mass United FC (Mass.) 7 p.m. ET Dilboy Stadium; Somerville, Mass. Sept. 22 Jackson Lions FC (N.J.) vs. Newtown Pride FC (Conn.) 7:30 p.m. ET Jackson Justice Complex – Soccer Turf Field; Jackson, N.J.
Sept. 22 Lansdowne Bhoys FC (N.Y.) vs. New York Pancyprian Freedoms (N.Y.) 8 p.m. ET Tibbett’s Brook Park – Field 3; Yonkers, N.Y.
Sept. 23 Ukrainian Nationals (Pa.) vs. United German Hungarians (Pa.) 2:30 p.m. ET Ukrainian American Sports Center – Field 1; North Wales, Pa.
Sept. 23 Vereinigung Erzgebirge (Pa.) vs. West Chester Predators (Pa.) 2:30 p.m. ET Vereinigung Erzgebirge Clubhouse; Warminster, Pa.
Sept. 23 Boston City FC II (Mass.) vs. Juve-Pro Soccer (Mass.) 6 p.m. ET Brother Gilbert Stadium; Malden, Mass. Sept. 22 Tigres FC (Va.) vs. Cville Alliance FC – Reserves (Va.) 6 p.m. ET Charlottesville High School; Charlottesville, Va.
Sept. 22 Izee Auto FC (Md.) vs. World Class Premier Elite FC (Md.) 7 p.m. ET Blandair Regional Park; Columbia, Md. Sept. 23 Steel Pulse FC (Md.) vs. Aegean Hawks (Md.) 2 p.m. ET Milford Mill Academy; Windsor Mill, Md. Sept. 23 Christos FC (Md.) vs. Rockville Soccer Club (Md.) 3 p.m. ET Troy Park – Field 2; Elkridge, Md. Sept. 23 DC Cheddar (D.C.) vs. Super Delegates Football Club (Md.) 6 p.m. ET Jelleff Recreation Center; Washington, D.C.
Sept. 23 Centro America FC (Va.) vs. Virginia United (Va.) 7 p.m. ET Howison Homestead Soccer Complex – Field 1; Manassas, Va.
Sept. 22 America Soccer Club (Fla.) vs. Orlando FC Wolves (Fla.) 8:30 p.m. ET West Orange High School; Winter Garden, Fla.
Sept. 22 Miami Sun FC (Fla.) vs. Florida Soccer Soldiers (Fla.) 8:30 p.m. ET Kendall Soccer Park – Field 2; Miami, Fla.
Sept. 23 Deportivo Lake Mary (Fla.) vs. Sporting Orlando Soccer Club (Fla.) 1 p.m. ET Johnson University; Kissimmee; Fla.
Sept. 23 Soda City FC Sorinex (S.C.) vs. FC Cardinals (N.C.) 3 p.m. ET CIU University; Columbia, S.C.
Sept. 23 Red Force FC (Fla.) vs. FC Kendall (Fla.) 5 p.m. ET Tropical Park; Miami, Fla.
Sept. 22 Motagua New Orleans (La.) vs. Port City FC (Miss.) 7 p.m. CT Pan American Stadium; New Orleans, La. Sept. 23 Ann Arbor FC (Mich.) vs. Livonia City FC (Mich.) 3 p.m. ET Saline High School – Stadium Field; Saline, Mich.
Sept. 23 Indios Denver FC (Colo.) vs. FC Denver (Colo.) 3:45 p.m. MDT Manuel High School; Denver, Colo.
Sept. 23 Colorado Rush (Colo.) vs. Harpos FC (Colo.) 5 p.m. MDT Shea Stadium; Highlands Ranch, Colo.
Sept. 23 Gam United Football Club (Colo.) vs. Northern Colorado FC (Colo.) 5 p.m. MDT Adams City High School Stadium; Commerce City, Colo.
Sept. 23 Colorado Rovers (Colo.) vs. Club El Azul (Colo.) 7 p.m. MDT Broomfield Commons – Championship Turf; Broomfield, Colo.
Sept. 22 Outbreak FC (Calif.) vs. L.A. South Bay Monsters FC (Calif.) 7 p.m. PT Long Beach State University – George Allen Field; Long Beach, Calif.
Sept. 22 Cal FC (Calif.) vs. San Nicolás FC (Calif.) 7:30 p.m. PT Calabasas High School; Calabasas, Calif.
Sept. 23 Buena Park FC (Calif.) vs. Valley United SC (Calif.) 3 p.m. PT Kennedy High School – Varsity Field; La Palma, Calif.
Sept. 23 Real Sociedad Royals (Calif.) vs. Quickening (Calif.) 4 p.m. PT St. John Bosco High School – Stadium Field; Bellflower, Calif.
Sept. 23 Lionside FC (Calif.) vs. SC Trojans FC (Calif.) 7 p.m. PT Lake Forest Sports Park; Lake Forest, Calif.
Sept. 23 CaliGators FC (Calif.) vs. California United FC II (Calif.) 6:30 p.m. PT Lake Forest Sports Park; Lake Forest, Calif.
Sept. 22 Academica SC (Calif.) vs. Davis Legacy Soccer Club (Calif.) 7 p.m. PT Academica Fields – East Field; Turlock, Calif.
Sept. 22 Oakland FC Leopards (Calif.) vs. Oakland Stompers (Calif.) 7 p.m. PT Castlemont High School; Oakland, Calif.
Sept. 22 San Ramon Dynamos FC (Calif.) vs. JASA RWC (Calif.) 7 p.m. PT Dougherty Valley High School; San Ramon, Calif.
Oct. 21 Rochester River Dogz (N.Y.) vs. Tartan Devils Oak Avalon (Pa.) 5 p.m. ET Basket Road Rectangle Field; Webster, N.Y.
Oct. 21 Sporting AZ FC (Ariz.) vs. Southwest FC (Texas) 7 p.m. MST John Riggs Stadium (Mesa Community College); Mesa, Ariz.
Oct. 21 IPS/Marathon Taverna (Ore.) vs. Nevada Coyotes FC (Nev.) 7 p.m. PT Buckman Field Park; Portland, Ore.